Asus, one of the leading brands in quality laptops, has finally decided to make its mark in the Chrome device category after studying the competition and figuring out how to make a unique product that can stand on its own in this rapidly-growing field. 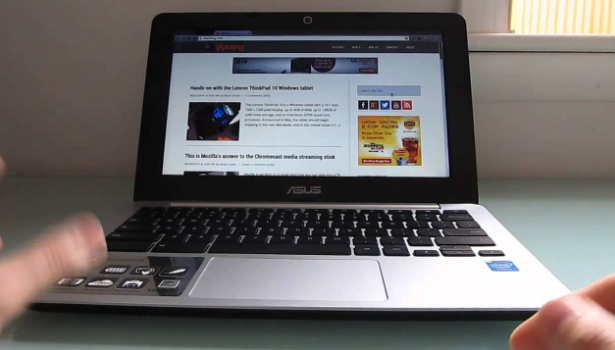 Thus, by May 2014, the Asus Chromebook C200 debuted in the market. Chromebooks are mostly known for being cost-effective, considering that they are meant for the lower- to middle-income bracket. Priced at $249.99, this device is as cost-effective as can be. What makes this tool budget-friendly is its full web-based features that allow for faster computing and a richer online experience, with none of the hardware and software frou-frous that other regular OS-based laptops require. The mighty but budget-friendly product will allow you to browse through various websites, encode using Google apps like Word Online, save files and/or pictures on Dropbox, and still provide you with videos to watch to your heart’s content. Design-wise, though, this device is no great shakes as it is housed in your standard plastic exterior, but is sturdy enough to hold itself up against the typical wear and tear. It has a compact size at 11.6 inches with a 1366 x 768 HD glossy screen, and is lightweight at 2.5 pounds. Its sleek size makes it a wonderful device to bring just about anywhere. This device is also blessed with a feature that is the mark of a true Asus product – its keyboard. It has long been known that Asus is a leader in making top-of-the-line netbooks so maximizing space on such a small product is not a problem for this manufacturer. The keys here are noticeably softer and well-spaced, compared to other Chromebooks in its same price category that have shrunken keys. Asus also did not scrimp on trackpad space, which is why clicking on it is more accurate. Perhaps the biggest edge the Asus Chromebook C200 has over its competitors is its battery life. Other 11-inch laptops like the Samsung Chromebook 2 or the Toshiba Chromebook would have given up after approximately eight hours, but this sturdy little baby will still keep going up to an astounding 11 hours. That is one feature any mobile-loving individual will easily warm up to because that would mean more meaningful output from this device. Microprocessor-wise, this Chrome OS-based device is the only one of its kind to employ a dual-core Celeron N2830 of the Bay Trail family. While not as fast as the usual Haswell chips used on other Chromebooks, this device is still faster than older versions with Intel Atom chips inside. The Asus Chromebook C200 is quite the gem in the rough, with features that could stand above the rest in terms of reliability, efficiency, and most importantly, battery life. It is the most dependable device in the market today, and is certainly worth the investment. WHETHER YOU’RE LOOKING FOR BILL GATES CLOUD COMPUTING? WHAT IS APPLE CLOUD COMPUTING?